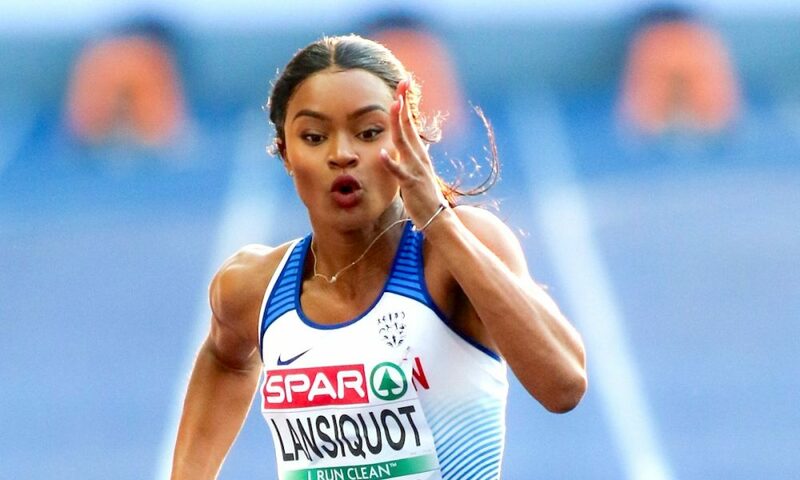 In her latest ‘Fast 10: class of 2018’ post, GB sprinter Imani-Lara Lansiquot reflects on a fantastic summer of achievements. It has really been a crazy few months since I last blogged. Where do I start? Well, I finally finished my first year at university. I finally broke my personal best from 2016, and I finally made my first senior team! It has been an intense few months, without having any weeks off between university and competitions. But after my exams, it was great to dedicate myself properly to track and enjoy things leading into the British Championships. In Birmingham, I had planned to hit my goal of automatically qualifying for the European Championships in Berlin, which would be my first ever senior championships. Although this wasn’t my first British Trials, it was my first where I felt I had a chance to medal and qualify for the individual spot in the 100m. Training sessions leading up to the champs were great and everything seemed set for a successful weekend. However, when I crossed the line in fourth place, I couldn’t help but feel a bit deflated and disappointed, albeit proud that I had made it that far. The other girls ran a great race, and although mine wasn’t perfect, I had to respect that I still had a long way to go in regards to my experience and composure on a large domestic stage. 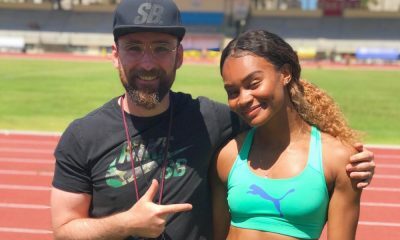 Post champs, I sat down and discussed with coach how we would bounce back and get mentally ready for the next opportunity I had to make the team – the London Diamond League. It was about recognizing that we had nine months of training behind us, and the only gains left for the taking were mental ones. I trusted that all of my physical progression from this season would eventually show, and instead of obsessing over when this would happen, I had to focus on being as mentally prepared as possible for the next opportunity. The London Diamond League was an incredible event, and having competed in the relay at the Athletics World Cup, I knew what to expect from the epic stadium. I was drafted a lane next to double Olympic Champion Shelly-Ann Fraser, and instead of nerves I felt huge excitement. This was my biggest ever race to date! I didn’t know how well I would do, but I knew that I would do my best and for me, that is more than enough to build from. I was really happy that I was able to run a personal best in the final, a new time of 11.11 that put me second in the British rankings and sixth on the British all-time list. Thankfully my time was enough to convince selectors to give me a chance in the 100m at the European championships, and just like that my two biggest goals for the year had been fulfilled. I was absolutely over the moon! 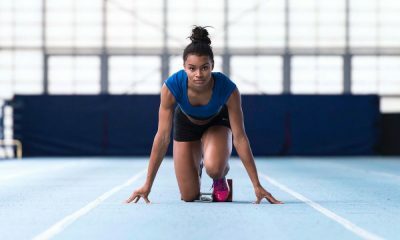 We didn’t have much time to get caught up in it as now a completely new door had opened up for me – my first ever senior opportunity and a shot at a final and potentially a medal in the 100m. 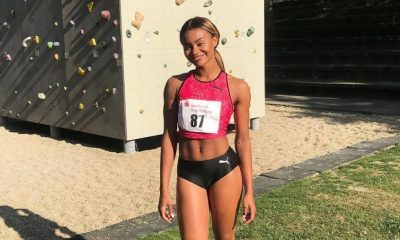 I entered the European champs ranked eighth in Europe, and although I had no expectations on me, I expected a lot from myself. I knew that an opportunity like this would set me up so well for the World Championships next year in Doha and for Tokyo 2020 if I used it properly. I was aiming to make the final and to run a personal best, and whatever happened from there was a win. I knew that I had nothing to lose and everything to gain! I was super happy to have run my second fastest time ever, 11.14s in the semi-final, and to progress into the final! I replicated that time again and placed sixth overall in the final. Although I knew I had it in me to go a lot faster than my first round, I was still so proud that I had finally got back to where I felt I belonged. It’s a weird transition from junior to senior, but I finally feel like I made it through the door to the senior world. Featuring in such a high-quality final was completely inspiring, and motivated me for the coming years to work even harder towards becoming one of the world’s best. However, for my first senior championships and being the youngest in the field, I was super pleased to have acquitted myself well. To win a medal, the girls all had to run sub-11 seconds, which speaks volumes for the standard of European sprinting at the moment. To be a part of that final was a proud moment for both myself and my family and I look forward to being even better in the future. A few days later came the 4x100m, and following from the silver medal picked up in Amsterdam at the last Europeans, the team really wanted to go for gold this time. It was my first time running in a senior relay team at a championships, but feeling very well drilled off the back of a small relay camp held before the champs began, I was confident that I could do a good job if chosen to run in the strike four. I was so pleased to have been picked to run in the heat and the final at the championships on leg two, a leg that I had practised a lot this year, and to top it off, we came home with the gold in a world-leading time. What a way to end a great championships! The whole experience really opened my eyes to the senior scene and gave me so much motivation moving into 2020. It’s one thing watching a championships at home, but being a part of it, and seeing what it actually takes to be the best was an invaluable experience. It was a fantastic event to partake in and I look forward to what the World Championships in Doha 2019 will bring! 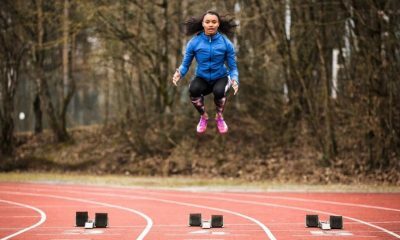 Imani-Lara Lansiquot features in the ‘Fast 10: class of 2018’ and over the course of the year will share her running journey. You can read Imani’s previous posts here and further information about the ‘class of 2018’ can be found here.